Are you looking for an outcall massage therapist for your next special event? Please browse our website to see if you are interested in our services. If you are looking for the least expensive outcall massage services, then we may not be the best option for you. We provide everything for the ultimate therapeutic massage. Styles can range from Hawaiian Lomilomi to Swedish or Deep Tissue Therapy. This is most suitable for fully-clothed traditional Eastern massage techniques, such as Shiatsu, Ashiatsu, and Acupressure. We will provide a luxury massage futon and everything you need for your traditional Asian massage experience. 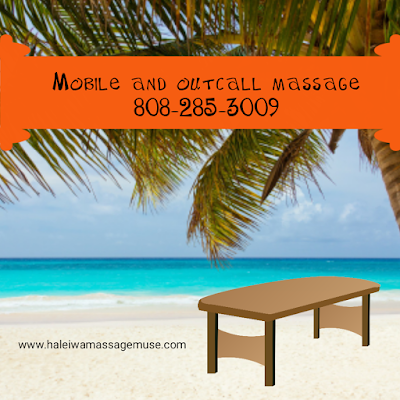 North Shore Mobile Massage is Available from the Haleiwa Massage Muse. Options for table, chair, and futon. The Haleiwa Massage Muse also offers event massage for your North Shore business event or special function. Chair massage is available on the North Shore and Central Oahu. Prices start at $200 and discounted rates are available depending on the length of your massage booking time. We bring the massage chair to your location and provide everything you need for massage therapy. This is a great way to make your special event memorable. Many businesses offer chair massage to their employees as a motivational tool. Chair massage is also the best way to show your workers that you value what they do. If you have any questions about our North Shore mobile massage services, give our clinic near Haleiwa a call. 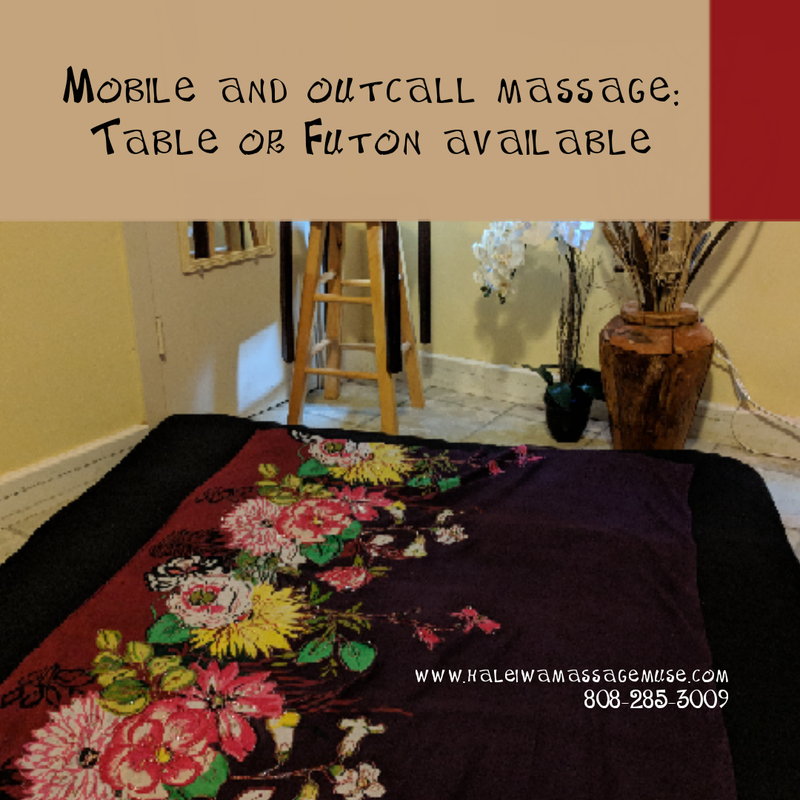 We have been offering massage therapy for twenty years and are always happy to connect with potential massage clients.